So the collection is made up of 3 new lip colours, 2 eyeshadow quads, a blush, a bronzing mineral veil, a bronze radiance, a blue mascara and then a mascara and eyeliner in limited edition packaging. 3 Loud and Clear Sheer Lip Colours in Amped Pink, Tangerine Trance and Berry Remix - These look so bright in person....but don't actually have much colour payoff at all. The are a translucent gel formula so are more like a very lightly tinted lip balm. They feel really nice on and do give a tiny bit of colour but I was a little disappointed on the colour payoff (I do love a bit lip colour!) These will be £15.00 each. 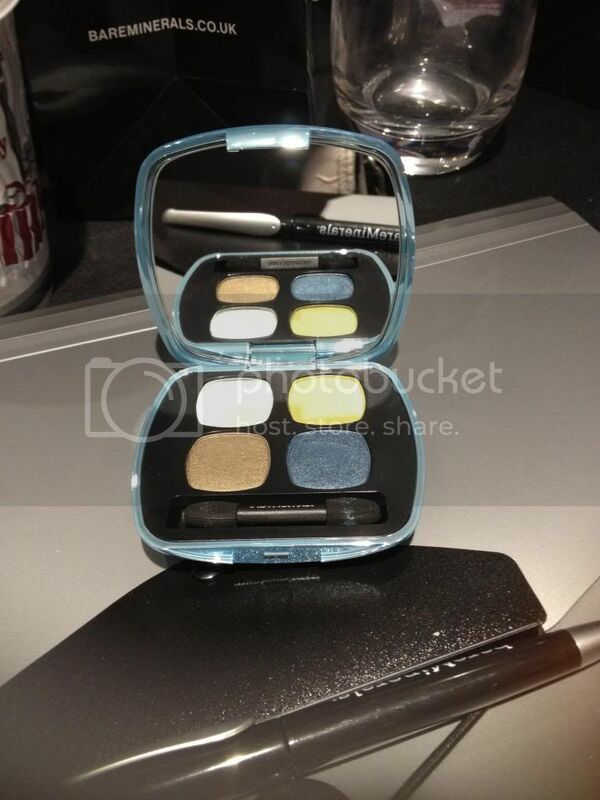 2 Ready Eyeshadow Quads in The Wild Thing (Blues) and The Next Big Thing (Neutrals) - These are just as pigmented as the other Ready eyeshadows and have the same anti-ageing properties too. I personally absolutely fell in love with The Wild Thing as the colours are super pretty. The Next Big Thing was a bit blah for me really, but I think that's because I really want to get more colours and less neutral palettes in my personal collection! TNBT palette is very pretty with the two neutral colours having very good payoff but the other two are less extreme than I expected. TWT palette was completely different to how I imagined it to be from the pictures (swatches down below!) These will be £29.00 each. Blush in The Natural High - This is SO pink! The colour payoff is amazing and you only need a tiny amount for a nice pop of colour. This will be £22.00. Bronzing Mineral Veil - This has got an SPF 25 in it and is very pretty. It gives a nice healthy glow without being too intense. I think people might go a bit crazy for this one to be honest! This will be £20.00. Bronze Radiance in Secret Radiance - This is packed with colour and shimmer. A tiny bit will go a really long way but will make a lovely highlighter for anyone lucky enough to tan easily this year! This will be £19.00. Round the Clock Eyeliner in Midnight - This is another normal product with limited edition packaging. I really love the RTC liners as they have such good staying power and are so pigmented too! I personally can't use them on my waterline for some reason (everyone else seems to be fine with them on their waterlines! So jealous!) but on my top lid they are fab! This will be £13.00. 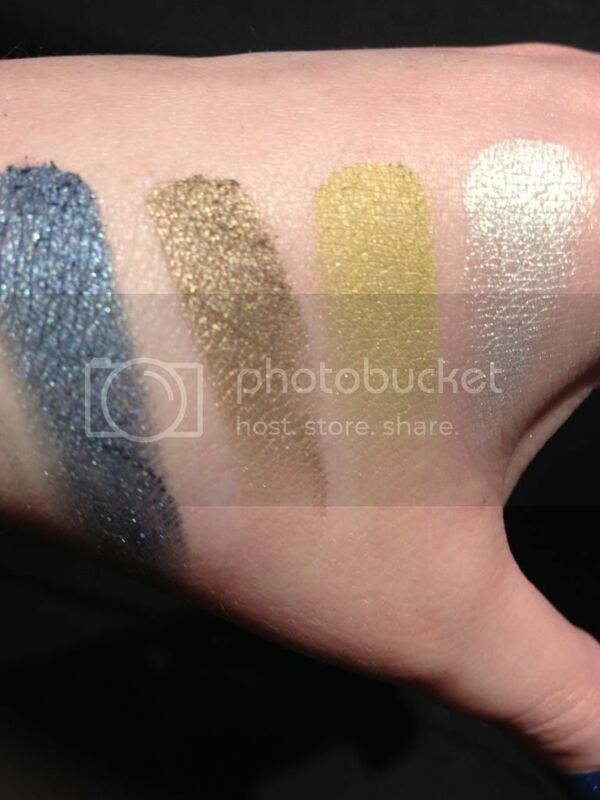 Swatches of The Wild Thing palette. These are literally one sweep swatches. How amazing are those colours?! The lightest one is super pretty and is multitonal so it changes in the light!! I'm literally in love with this palette! Whilst there I naturally asked if I would get this on my counter (I'm a mini counter so we don't get everything...) and the answer was....no I don't. I was so disappointed!! But I'm going to London on the 17th of Feb and will be going into the Covent Garden Boutique to grab this palette and the Aqua Blast mascara (if they still have any...I'm hoping they won't be rammed with customers!) I might try and swatch a few of the other bits to show you guys if you want to see what any of it looks like before buying it! Let me know! On to the bits that were in our bags on the table! 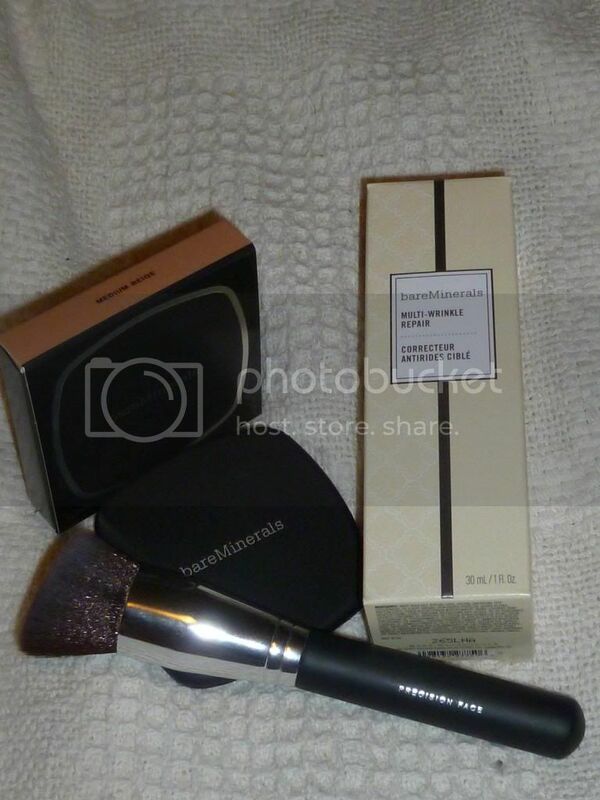 I was SO surprised to find the new Precision Face Brush in there but also super happy! I have the travel version of this (which can be seen towards the end of this epic post here) and I love it, but I was thinking of getting this when it came out as I liked how nice it was to use...so getting it in the bag was such a good surprise!! It's SO freaking soft and gives such flawless coverage. Love it! We also got given the new Multi Wrinkle Repair Serum which feels beautiful and is proven to reduce forehead, eye and mouth wrinkles (along with a few others!) by 80% after 4 weeks continuous use! And then finally we were all colour matched and got given the Ready foundation in our colour too! Amazing!! Now then, I went and brought this last year in Selfridges (see end of post here) so I didn't really need another one as my one still has LOADS left in it, so I asked out lovely trainer Rachel if I could possibly take one in my Mum's shade instead and she was absolutely lovely about it! Now then, I know with the Ready Foundation, you really do need to be matched even if you already use the original foundation, but I took a risk and grabbed the one in the colour my Mum is using at the moment. Hopefully she'll like it! When this comes out in March, they will have numbers rather than names to stop people just buying the same colour and being annoyed if it looks different on them! 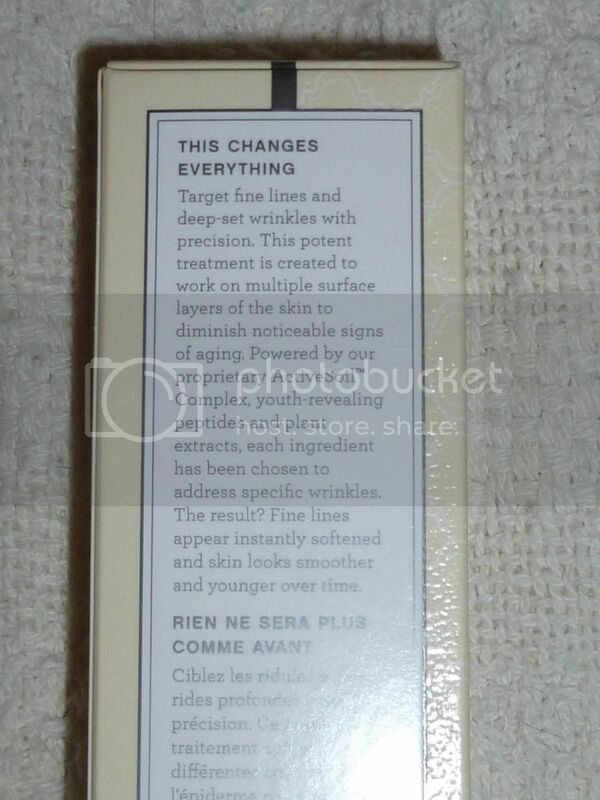 Little shot of the Multi Wrinkle Repair Serum. I love the design of this bottle for some reason! Here's the bit of blurb on the back for you guys to read yourselves! And here is what the product looks like. I'm not going to lie...I had a little giggle about what else it looks like (but I hear that softens you face too.....Haha!!) But I've used this a few times and it feels so lovely on your skin! I've got my Mum on the case and might try and persuade her to let me take a few close ups of her wrinkles and then get her to use it for 4 weeks and see if we can see the difference...if she'll let me of course!! So what do you guys think of the Remix Trend Collection?? Any bits you'd like me to swatch on the 17th? I can post them on twitter on the day if any of you want me too? Anything there that you don't really like the look of? Let me know in the comments as always! 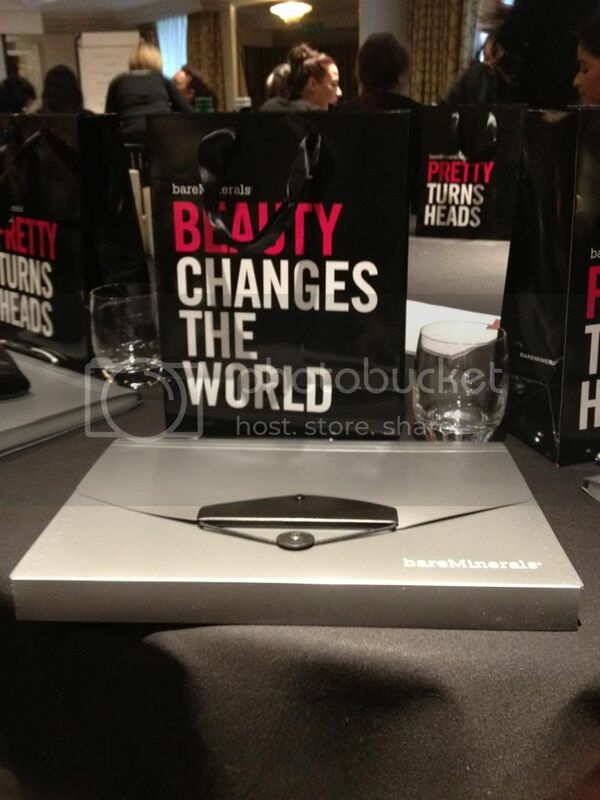 Those eyeshadow palettes look awesome! Great dedication getting the swatch! 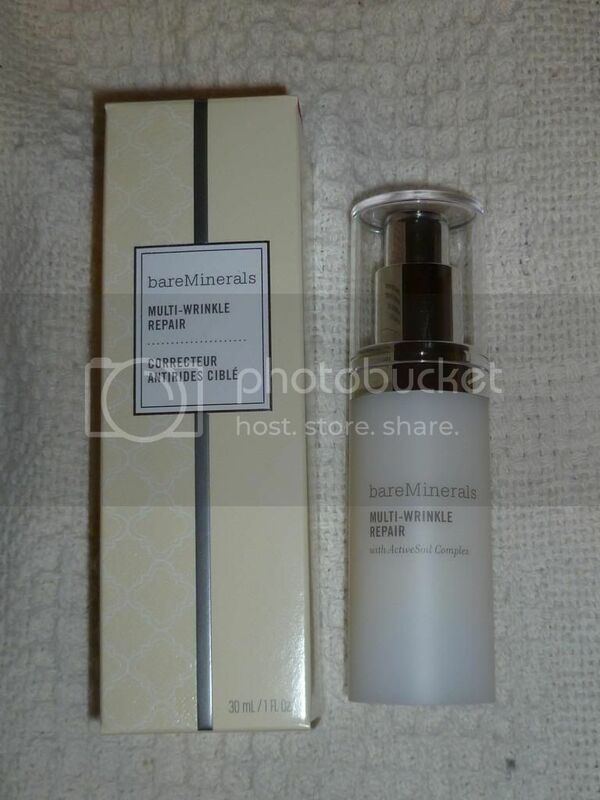 :D I have tried so many brands over the years but I have actually never purchased ANYTHING from bare minerals, for some reason I always walk past the bare minerals counter, I think it's because of the endless amount of powders around that kinda throws me off a bit. If you had to recommend just one product by bare minerals, which would you recommend? Haha Thanks! I did feel a bit cheeky getting that picture! Yeah, the amount of people who come to my counter and say they normal just walk past is pretty high! I think the thought of powders does put lots of people off tbh! But honestly, it's good stuff!